WordPress registration pages enable people to sign up to your site, and subsequently log in using their credentials. WordPress comes with a default registration page that does the job, but it’s less than ideal. A better option is to create a custom WordPress registration page that fits your specific needs – the question is: How do you go about creating one? This article will firstly take a look at why you might want to add a custom registration page to your WordPress website. We’ll then guide you step-by-step through how to create your own custom page using one of our recommended plugins. We’ll also take a look at several other plugins that may fit your needs. There are plenty of reasons why you might want users to register for your site. You may want visitors to sign in to view certain content, for example, or perhaps you want to enable registered users to contribute to your site via posts, images, videos, or comments. Here, you can also define the default user role using five options including Subscriber, Contributor, and Author. Once you’re done, scroll down to the bottom and hit Save Changes. Once complete, they’ll receive an email with a link to an automatically generated password that can be altered by the user. While this process is simple and convenient, there are several problems. Firstly, it takes users away from your main site to a WordPress branded page, which can dilute the user experience. Also, the form only offers two very basic fields, and you may want the opportunity get more information from the users that are signing up to your site. 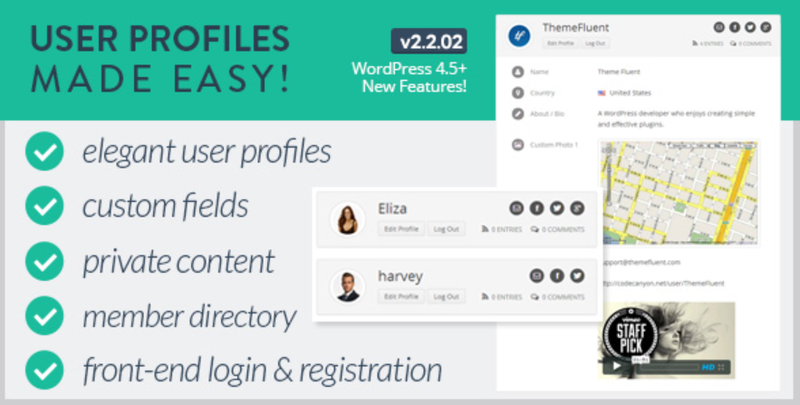 In addition, the default registration process gives users access to their profile from the back end of your WordPress site. Even with very limited rights, it’s a security minefield. Finally, even though it’s functional, the form is aesthetically unappealing and impractical. Ultimately, it leaves plenty of room for improvement with regard to both the admin and user experience. Limit admin panel access: You no longer have to rely on the default user role settings, and can decide exactly who sees what. Create additional fields: You can create as many fields as you need to acquire all of the information that is relevant to your website. 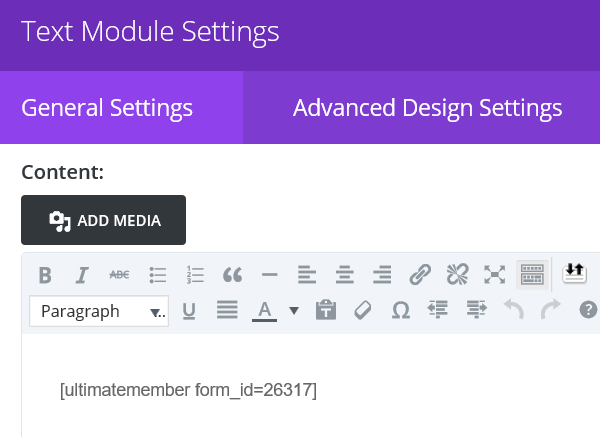 Embed forms on your site: Custom registration forms can be placed on pages, posts, and widgets, so you can tailor the user registration process to suit. Add custom branding: Since the forms can be placed anywhere, you can also add your own branding or other custom media. Improve the user’s experience: The user isn’t taken away from your main site in order to register, and they also get to complete a more aesthetically pleasing form. With the pros and cons out of the way, let’s take a look at how to create a custom WordPress registration page. 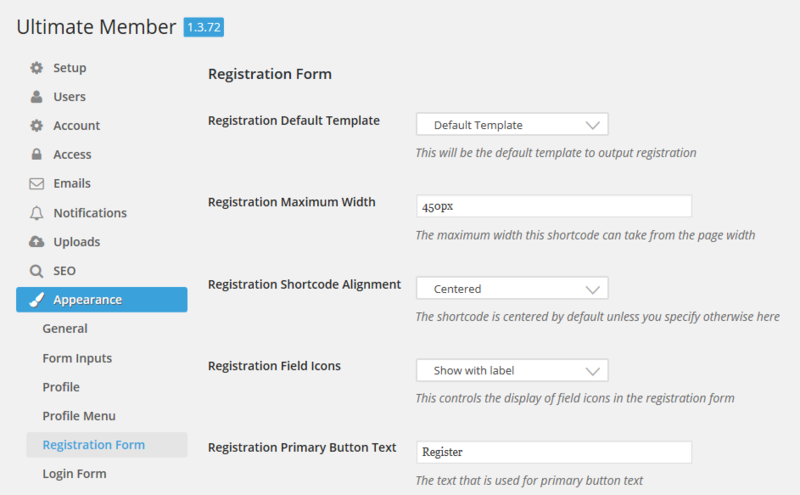 Custom registration pages can be created manually, but WordPress has a number of plugins to help simplify the process. These enable you to customize your registration form, and even generate a shortcode enabling you to place it anywhere on your site. You may wish to create a dedicated registration page, add the form to an existing page, or place it in a sidebar or footer widget. For this tutorial we’ll use the Ultimate Member Plugin. 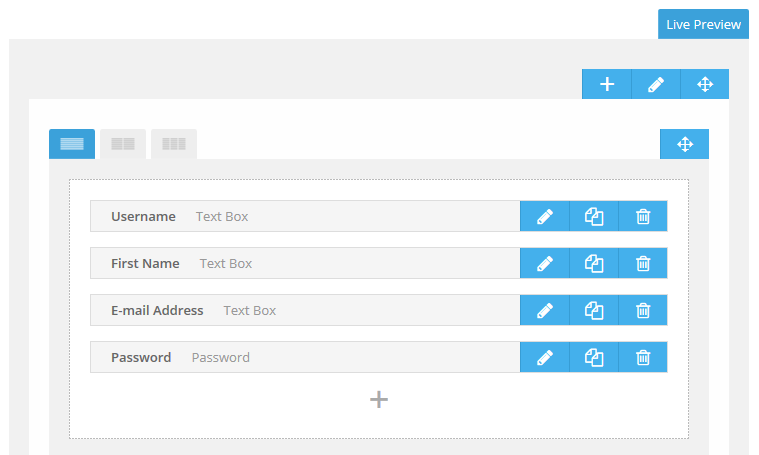 This flexible and intuitive plugin offers you all the basics for creating a registration form. You can customize your form by using the drag-and-drop interface to add, edit, and rearrange fields. You can place the generated shortcode anywhere you want the form to appear. As well as registration forms, you can also create custom login pages and user profiles. Ultimate Member offers a range of paid extensions such as WooCommerce integration, user tags, and private messaging. Now we’ll outline how to use Ultimate Member plugin to create your custom registration form and page in three steps. By the time we’re done, you’ll have a custom registration page to be proud of – let’s take a look! Once you have installed and activated the plugin, you’ll see a new Ultimate Member tab show up on your WordPress dashboard. Expand this tab and select Settings. In the resulting screen, go to Appearance and select Registration Form from the drop-down menu. You can also use the General tab to customize form colors, and the Form Inputs tab to alter the appearance of the input fields. Once you have the form embedded, you can add branding, text, and other design components as you would for any other page on your site. While we’ve used the Ultimate Member plugin in the example above, there are other plugins that can help you achieve similar results. Each one comes with a different set of features, so whichever one you choose will be dependent on your specific needs. Here’s a list of four more plugins that we recommend for creating your custom registration page. This plugin enables you to create a simple registration form that can be placed anywhere on your site. While the interface is a little less intuitive than that of Ultimate Member, it’s still simple to create a functional registration form. You can also add a similar profile editing form for existing users. There’s also a premium version available, which lets you access additional features such as conditional logic or the option of add-ons. UserPro is a premium plugin that offers lots of customization to create an attractive form. 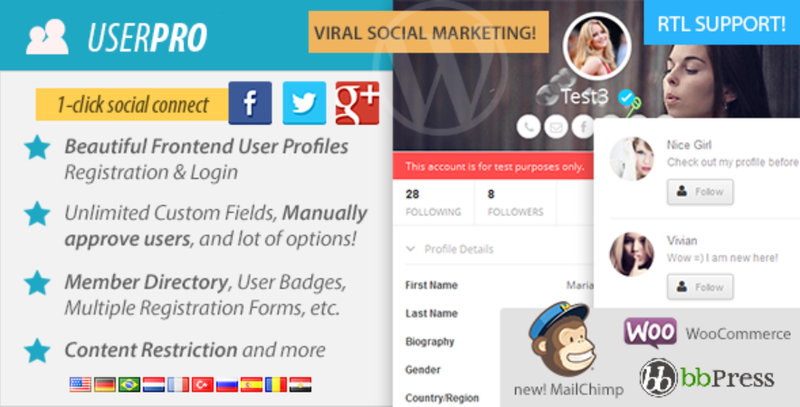 This plugin is geared towards community websites, and enables users to create highly tailored profiles. 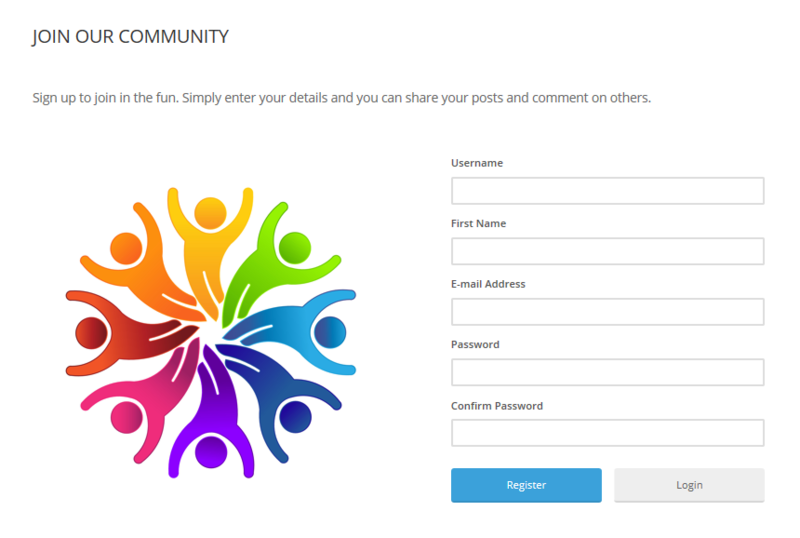 It also has plenty of additional features such as social connect and integration, user badges, and content restrictions. 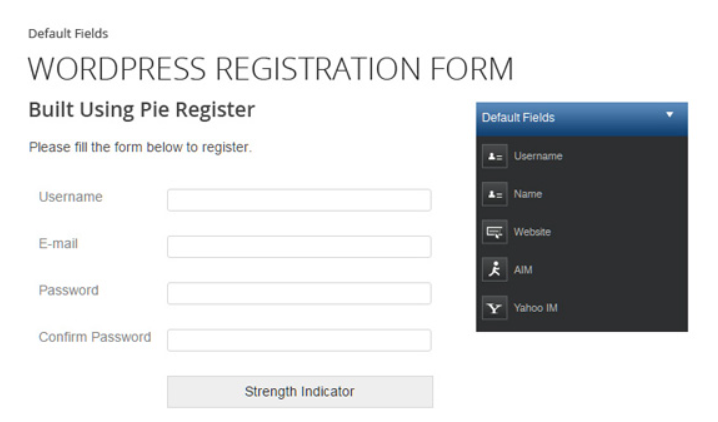 Pie Register has an intuitive interface that enables you to quickly create simple registration forms. This plugin gives you options to verify and moderate registrations, or even offer registration by invitation only. You can also create custom email templates and easily import or export select data. Ability to add a custom logo. Enables you to hide default WordPress pages. Similar to UserPro, this plugin is a great option if you want your website to be community focused. Aside from options to create beautiful and functional registration forms, users can also have highly customized front end profiles. Additional features include social login, content restrictions, and private profiles. Seven user registration process options. Search Engine Optimized (SEO) profile permalink options. The default WordPress registration page offers a less than ideal solution for enabling users to sign up to your site. It comes with WordPress branding, a very limited number of fields, it’s aesthetically lackluster, and it takes users away from your main site – all of which arguably lead to a poor overall user experience. Install and activate your chosen plugin. Customize the design to create your desired aesthetic. Edit the form fields to enable you to obtain the desired user information. Embed the registration form anywhere on your site, and add any additional text and design components. Divi users can also take advantage of its in-built elements to help create gorgeous-looking registration forms. 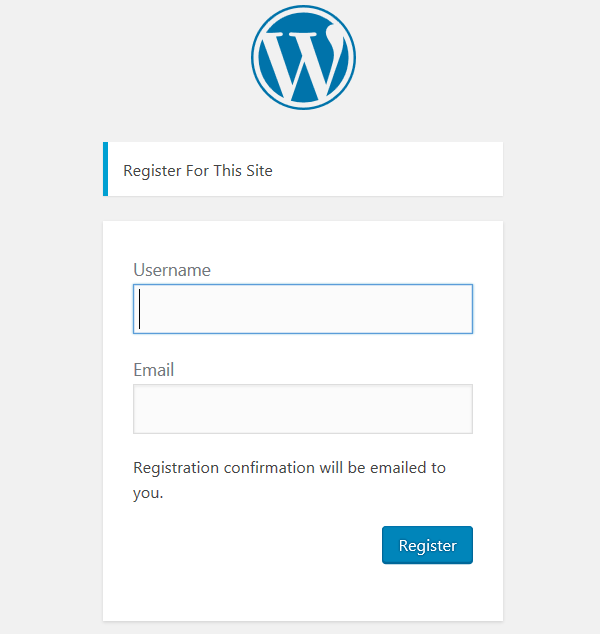 Do you have any tips for creating a custom WordPress registration page? Let us know in the comments section below, and don’t forget to subscribe so you can follow the conversation! I would like to go further. I want to print a page with all the information collected. Do you think this is possible with Ultimate Member? Off the top of my head, I suspect that would require some coding in a custom page template to display the information. Another option is Gravity Forms with the user registration add-on. 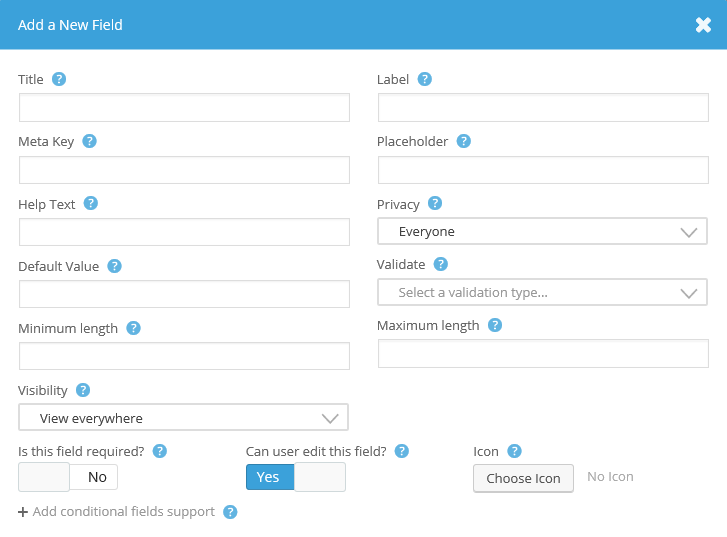 You can map fields to usermeta and set user role easily in the user feed of the form. Thanks for the tip, Luke! Tesla Login Customizer is interesting as it can add simple animations to the login page as well as the standard customizations. I LOVE it you addressed this!!! I was just told to use Ultimate Member but I was in the dark integrating it with Divi. 1) Will Ultimate Member CONFLICT with Divi’s “Roles”???? Already set up “Roles” for our non-profit’s board and like way I can restrict which fields they can edit. 2) Why did you use “Post Title” for “JOIN OUR COMMUNITY” header? I’ve never worked with it because our website isn’t a blog except for one small section. 3) Anyway to limit registration to already paid members for now? We don’t have e-mail addresses for most members (circa 2,000.) Hope new website will be able to harvest those. Can’t afford paid services like Mail Chimp. Mail chimp is free for up to 2,000 subscribers and 12,000 emails per month. Forever. 2) Simply put, “Join Our Community” was the title! Plus, you get more flexibility when it comes to positioning and styling. 3) MailChimp has a free tier for up to 2,000 subscribers. It should be suitable. In any case, I’m unsure if the functionality you require is available for these plugins. The best course of action is try them out or ask the developers. Great Post but what if i want use custom registeration page to collect emails and use them to send newsletter ,Is there are any free plugin to do this automatically. Can you tell me which is the social sharing plugin that is floating on this blog post on the left side ? Thanks for this. I wouldn’t recommend Ultimate Member as I once had it on most of my sites and at some stage or other had to remove it for the problems it caused. Seriously…. a site that is working fine the one day then suddenly does not display anything the next? and all due to a plugin failure. So while the functionality of the plugin was amazing, from a real world perspective it wasn’t worth it. Currently I get along fine with stock standard WordPress membership (where I create the user accounts in the back end) or I use WooCommerce with the Membership plugin when selling memberships. Thanks for the article though. And if you wanted to have a “my account” page? Would the plugins you recommended allow you to set that up as well? Could you display user info like subscription status? Not without some coding, Steve. You may need to continue your search in that case. You missed Theme My Login which also does the job nicely (and free). I would link it, but I expect your spam filter would block my comment. 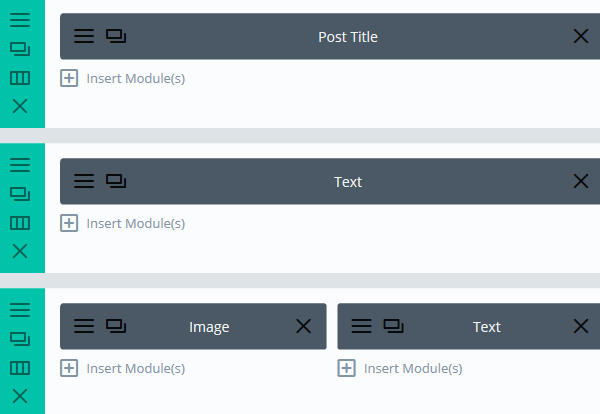 Just search for “Theme My Login” in the WordPress plugin directory. Combine this with Justin Tadlock’s “Members” plugin (also free) and you have a better more flexible solution than many of the paid membership plugins. Also as another user mentioned, Gravity Forms with the User Registration add-on and a payment gateway add-on can be used to create one-time paid memberships. A Child Theme is something every (Divi) site needs. Build one using https://divi.space/divi-child-theme-builder/ and you get a built in Login editor. I wish this and a registration page editor was built in by default in Divi. Now that I’m sharing wishes, also consider unified color changes (like in the “Make a Splash”-Child theme from Monterey Premier. And a more clear separation of content and design to make global items easier te use. Sorry, want a bit off-topic there. Still a big Divi fan though!! Verdi, you can always leave a suggestion on our forums, where they get looked at by the development team. You can find the forums here – https://www.elegantthemes.com/forum/. WOW thanks so much for this. As a WordPress user for over 3 years now I have always wanted something a little more suited to my business and readers. This goes all out and was easy to follow.